The Russian Symphony Orchestra Society was created in late 1903 by Modest Altschuler, and was the training ground for many orchestral musicians who later achieved fame in the leading "established" orchestras of America. The Russian Symphony of New York's first concern was in the Cooper Union Hall (where Lincoln made his famous first speech in New York City in 1840) on January 7, 1904. This was the first of 6 concerts at Cooper Union that season 1. The first concert was of music by Tchaikovsky, Glinka, Rachmaninoff (at that time, still an innovation), and Henryk Wieniawski (1835-1880), with Michael Svedrofsky, the Russian Symphony's newly arrived Concertmaster as soloist. The Rachmaninoff work was the U.S. premiere (and first performance outside Russia) of The Rock. "...an orchestra of 65, consisting of Jewish graduates of the Imperial Conservatory performed...Immediate acclaim led the conductor [Altschuler] to expand his complement of musicians to 95 and to move uptown to Carnegie Hall..." 1. During the 1900s and 1910s the Russian Symphony toured the United States and Canada featuring performances and compositions by leading contemporary Russian. The Russian Symphony was made up mainly of Russian Jewish immigrants who, like Altschuler, left Russia and Poland to escape the pogroms that were an unfortunate feature of the later nineteenth and early twentieth century there. According to contemporary reviews, the Russian Symphony of New York typically had 50 to 60 musicians for a concert. As you will see below, many gifted and later famous musicians were active in the Russian Symphony in New York in the 1900s and 1910s. However, financially they, and the Russian Symphony essentially scraped by financially. Some accounts report that the musicians received their remuneration through donations donated during the intermissions of performances. The Russian Symphony of New York did have, however, its prominent backers. William Boyce-Thompson (1869-1930), a governor of the Federal Reserve Bank of New York and a lover of things Russian was President of the Russian Symphony Society during the 1910s. Modest Altschuler was born in Mogilyov, near Kiev, at that time in Russia, and now Belarus on February 18, 1873. Interestingly, Irving Berlin (born Israel Isidore Baline) as well as Benar Heifetz , cello of the Philadelphia Orchestra, was also born in Mogilev. Mogilev has been part of Poland, part of Lithuania, and now part of Belarus. Altschuler studied first, starting at age 13 at the Warsaw Conservatory. After graduation, Altschuler went to Moscow where he studied cello with Alfred von Glehn (1858-1930 ) who was himself a student of the famous cello teacher, Karl Davydov (or Davidov, 1838-1889). Interestingly, Gregor Piatigorsky (1903-1976) was also a student of von Glehn, and said that von Glehn was not a very demanding or inspiring teacher 7. An interesting later development was that in December, 1907, von Glehn appeared as a cello soloist at the Russian Symphony Orchestra Society concerts. Altschuler also studied composition with Anton Arensky (1861-1906), and harmony with Taneyev (1856-1915). He also studied conducting at the Moscow Conservatory. Modest Altschuler emigrated to the U.S. in 1896, along with his brother Bernard, also a cellist who played with the Russian Symphony in concerts in the 1910s. Altschuler created the Russian Symphony Orchestra Society in late 1903 with the help of Alexander Saslavsky , another Russian émigré. Alexander Saslavsky was Concertmaster of the Russian Symphony Orchestra for about half of its life. Even during the life of the Russian Symphony Orchestra Society, Altschuler continued to give occasional cello chamber music concerts in New York City 6. Modest Altschuler was always interested in new music, and the Russian Symphony Orchestra Society introduced new music in every season for 15, including many U.S. premieres, and some world premieres, with most, but not all of the composers having Russian backgrounds. The Russian Symphony made the American premiers of a number of later famous Russian works. For example, on February 25, 1905 at Carnegie Hall, Altschuler and the Russian Symphony made the U.S. premier of Mussorgsky's Prelude to Khovanshchina. The Russian Symphony Orchestra Society also premiered a number of works by now obscure Russian composers including Alexander Ilyinsky or Alexander Alexandrovich Il'yinksy (1859-1920), Vasily Andreyevich Zolotaryov or Zolotarev (1872-1964), Eduard Frantsovitch Nápravník (1839-1916), who was conductor of the Mariinsky Theatre in St. Petersburg for many years, and Alexander Nikolayevich Serov (1820-1871). It made a number of world premiers, often of now forgotten composers such as Edvard Armas Järnefelt (1869-1958) and Emil Mylnarski (1870-1935), and father-in-law to Artur Rubinstein). The first performance outside Russia of Rachmaninoff's "The Rock was by Altschuler and the Russian Symphony Society of New York in 1903. "The Rock is a fantasy for orchestra, composed by Rachmaninoff in 1893 while both he and Modest Altschuler were students at the St. Petersburg Conservatory. Rachmaninoff had the same two teachers in composition as did Modest Altschuler: Anton Arensky for harmony and Sergei Taneyev for counterpoint. They also gave U.S. premiers of many other famous compositions, such as the Caucasian Sketches, opus 10 of Mikhail Ippolitov-Ivanov (1859-1935) and the First Symphony of Sergei Taneyev (1856-1915), both premiered by the Russian Symphony in their first 1904 season 4. That same year, they premiered in the U.S. Rimsky-Korsakov's overture May Night, and the Glazunov symphonic poem Stenka Razine. In 1905, as well as Mussorgsky's Prelude to Khovanshchina, they gave the U.S. premiere of two Rimsky-Korsakov works: Tsar Saltan suite and of music from Snegurachka (the 'Snow Maiden'). That year, they also gave the U.S. premiere of Vasily Kalinnikov (1866-1901) First Symphony. In 1905, the Russian Symphony also gave the U.S. premiere of the Anton Arensky (1861-1906) Violin Concerto, with Maud Powell as soloist. In 1906, they gave the U.S. premiere of the Reinhold Gliere (1875-1956) (a pupil of Taneyev) First symphony in E flat major, composed in 1900. Also, Glazunov's Dance Scene, opus 81, composed in 1904, and his Symphony no. 3 in D major, composed in 1890. At the November 8, 1906 concert, Alexander Pechnikov (1873-1949), the violinist who was a student of Leopold Auer appeared as a soloist with the Russian Symphony Orchestra Society 15. In 1907, the Russian Symphony Orchestra gave the U.S. premiere of Sibelius's Karelia Overture and then the Karelia Suite, two different works, both composed in 1893. The 1906 -1907, and 1907 - 1908 seasons of the Russian Symphony Orchestra Society were certainly an Alexander Scriabin seasons. In December, 1906, Alexander Scriabin himself, conducted by Vasily Safonoff (then conductor of the New York Philharmonic) performed Scriabin's Piano Concerto, composed about 9 years previously. Vasily Safonoff was a teacher of both Scriabin and Modest Altschuler when they and also the pianist Josef Lhevinne were at the Moscow Conservatory. Interestingly, Safonoff, like Leopold Stokowski, conducted without a baton. Safonoff may have been the first prominent modern conductor not to use a baton. Also, speaking of Josef Lhevinne, this legendary pianist made he U.S. debut with the Russian Symphony Orchestra Society at a concert given in Carnegie Hall on January 27, 1906 4. In February, 1907, the Russian Symphony Orchestra performed the U.S. premiere of Scriabin's Symphony no. 1 in E major, composed in 1900. This was less than two months after the December 20, 1906 concert in which Scriabin himself made the U.S. premiere of his piano concerto with the Russian Symphony Orchestra. In March, 1907, they gave the U.S. premiere of Scriabin's Symphony no 3 in C minor "The Divine Poem" of 1904. 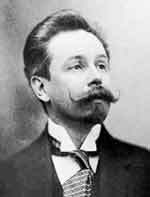 The next year, in December, 1908, they gave the U.S. premiere of Scriabin's Symphony no. 4 "The Poem of Ecstasy", written in 1905. In 1907, the Russian Symphony also gave the U.S. premiere of the Glazunov Symphony no. 8 in E flat major, composed just the previous year. Also, the U.S. premiere of Arensky's First symphony. The next year, in 1908, the orchestra premiered in the United States the Sibelius Symphony no. 3 in C major (however, in my opinion, Sibelius's weakest of his series of grand and inspired symphonies). Again, this Sibelius symphony was only completed in the previous year, 1907. In 1908, they also gave the U.S. premiere of part of Glazunov's Seasons from which they played Winter. The world premiere of the Seasons was only a few years previously, in 1900 in St. Petersburg by the Imperial Ballet conductor Riccardo Drigo (1846-1930). Another 1908 premiere was not an orchestral composition, but of a later star soloist. 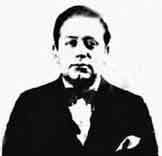 Mischa Elman (1892-1967) who had his U.S. debut on December 10, 1908 with the Russian Symphony Orchestra Society in Carnegie Hall in the Tchaikovsky Violin Concerto. In January, 1909, the Russian Symphony Orchestra gave the U.S. premiere of Rachmaninoff's Symphony no. 2 in E minor, which of course was one of Rachmaninoff's most successful works. Rachmaninoff himself conducted the world premiere less than 12 months earlier in St. Petersburg February 8, 1908. In 1910, the Russian Symphony Orchestra gave the U.S. premiere of one of Glazunov's most successful compositions, his Violin Concerto in A minor, opus 82 written in 1905, and given its world premiere in St. Petersburg February 1905 with the legendary Leopold Auer as soloist. For the 1910 Russian Symphony Orchestra U.S. premiere, the violin solo was none less than Mischa Elman, then only age 19, who was to go on to a super-star career. Interestingly, Elman was one of Leopold Auer's pupils at the St. Petersburg Conservatory. Later in 1910 (November) the Orchestra gave the U.S. premiere of two of Anatoly Lyadov's most famous works: the tone poems, The Enchanted Lake opus 62, and Kikimora opus 63, both composed only the previous year in 1909. The next month, in December, 1910, the Russian Symphony Orchestra gave the U.S. premiere of Stravinsky's Fireworks which again had been premiered in Russia only the year before in St. Petersburg. Sergei Diaghilev was at this premiere, and it motivated him to commission Stravinsky in 1910 to compose the Firebird for Diaghilev's Ballets Russes. This performance by the Russian Symphony Orchestra was also the first American performance of any work by Stravinsky 4. Alexander Alexandrovich Ilyinsky (1859-1920) - 'Psyche', a symphonic movement. Although Modest Altschuler ended the annual seasons of New York concerts of the Russian Symphony Orchestra Society in 1919, with the post WW1 economic recession, the orchestra continued to perform in the summer season. Recall that orchestra musicians of the era did not have 52 weeks of employment with their orchestras. Full year around employment for most orchestras did not occur until the 1960s. The first orchestra to offer 52 week employment was the Boston Symphony 9, which had the summer Tanglewood season to bridge the summer. Among performing orchestras, Toscanini's NBC Symphony Orchestra topped the Boston Symphony, offering higher salaries and 52 week employment. In 1964, the New York Philharmonic negotiated its first 52 week employment contract with its musicians 10. The Philadelphia Orchestra and the Chicago Symphony followed, but did not provide the full 52 seeks to all musicians. There were three tiers: 52 weeks, 50 weeks, and 47 weeks 11. By the 1970-1971 season, six American orchestras had 52 week contracts with their musicians, adding Cleveland, San Francisco and Houston. In the 1920s and 1930s, a large percentage of professional musicians worked in the orchestras of movie theaters. "...By 1927, approximately 25,000, or an estimated one-quarter or one-third of musicians who earned the majority of their income from musical performances worked in front of the silent screen..." 12. In fact, as you can see in Modest Altschuler Later Career , Altschuler himself worked for about two years as Music Director of the Circle Theater, a movie theater in Indianapolis, and now home of the Indianapolis Symphony Orchestra. However, at the time of the Russian Symphony Orchestra Society concerts, no orchestral musicians enjoyed 52 week employment with a symphony orchestra. The U.S. and Canadian tours of the Russian Symphony, while probably not well-paid, did provide off-season employment for many leading New York based musicians. For this reason, the Russian Symphony continued to tour in the summers of 1920, 1921, and 1922. It is likely that the musicians who played those summers varied, unlike to stable membership of, for example, the Boston or Philadelphia orchestras. The Russian Symphony also premiered works by women, rare at that time. In 1912 they premiered the Serenade by Mary Lawrence Townsend, presumably an American woman composer, of whom I have found no other record. The New York (and likely the U.S.) premiere of	Serge Prokofiev's Piano Concerto no 1 in D-flat Major, was performed by the Russian Symphony at Carnegie Hall on December 10, 1918 with Prokofiev at the piano. Prokofiev's First Concerto was composed during 1911-1912, while Prokofiev was still a St. Petersburg conservatory student and it was dedicated to his teacher Nikolai Nikolayevich Tcherepnin (1873-1945). This record of U.S. premieres must be at least as impressive as the record of other American orchestras of the same period. This is particularly striking given that the Russian Symphony Orchestra Society gave only about 6 to 8 concerts in each New York season, not counting the many concerts given as a touring orchestra. The number of performances of obscure and forgotten composers is likely because, at the time when contemporary compositions first appear, it is often not apparent at that time which compositions are works of real genius, and which only display craftsmanship, or academic interest. Would it have been clear at that time that the music of Vasily Zolotarev would be later forgotten, whereas Igor Stravinsky, only 9 years younger, would become one of the most famous composers of the Twentieth Century ? Perhaps it is not immediately manifest. As well as its New York concerts, and its national tours, the Russian Symphony Orchestra was the resident summer orchestra of the Chautauqua summer festival 1915-1917. Chautauqua then and later has been something like an American version of the later Salzburg Music Festival, but located in western New York State. Modest Altschuler ended the New York subscription concerts of the Russian Symphony in 1919, in part due to declining financial support during the two years of economic recession in the United States that followed World War 1. However, Altschuler and the Russian Symphony continued to tour in the U.S., primarily under contract with American music festivals as a touring orchestra. As is documented by newspaper accounts, such tours seem to have continued from 1919 through 1922. In about 1922 to 1924, Altschuler performed as a theater orchestra conductor and composer for silent motion pictures in theaters in the Circle Theater in Indianapolis. 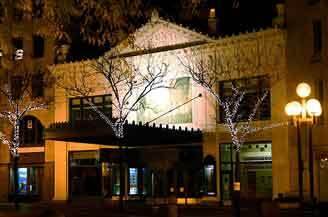 Interestingly, the Circle Theater is now an historic landmark, and is home to the Indianapolis Symphony. In working as Music Director at the Circle Theater, Altschuler continued to provide orchestral music for the silent films of the era. This was likely the beginning of what later became a Hollywood composer of film scores. Altschuler had previously as early as 1912 written the music for a film called "The Miracle" and had toured with the film with orchestra to accompany it. In 1924, Altschuler had moved to California. Altschuler went to Hollywood initially to compose the music for Frank Lloyd's motion picture "The Sea Hawk" completed in 1924. Altschuler made California his home, and lived in Los Angeles. Altschuler thereafter was continuously active in the Hollywood music scene. In 1926-1927, Altschuler appointed Music Director of the Glendale Symphony Orchestra, which had been organized in 1924, made up of primarily amateur musicians. Altschuler remained as conductor of the Glendale Symphony until the end of the 1930-1931 season, when the orchestra structure changed due to the financial difficulties of the depression 13. In the 1933 until at least 1936, with the coming of the Roosevelt administration WPA program, Altschuler became conductor of WPA Federal Symphony number 1 of Los Angeles 8. This was one of the many WPA orchestras across the United States which gave employment to musicians during the Depression. In August, 1932, NBC broadcast a symphony concert conducted by Modest Altschuler broadcast from the stadium of George Washington High School in the Washington Heights section of Manhattan, New York City. The provenance of this orchestra, and why it was formed is not evident from the press reports of the time. In Hollywood, Modest Altschuler both composed and conducted a series of film scores during the 1930s and 1940s. Among the film scores he composed, and beginning in 1929 conducted and recorded were: The Sea Hawk (1924), She Goes to War (1929), It's All in Your Mind (1938), Buffalo Bill Rides Again (1947). He also conducted film scores, including: Dawn to Dawn (1933), Glamour (1934), Heavenly Music (1943), Song of My Heart (1948). A fascinating story is that in 1939, Altschuler filed a $250,000 plagiarism lawsuit against RKO Pictures, Walt Disney Enterprises, and his fellow Mogilyov-born composer, Irving Berlin. Altschuler claimed that the song "Whistle While You Work" that Snow White sang in Snow White and the Seven Dwarfs (1939) was plagiarized from Altschuler's composition, the "Russian Soldiers Song ". I have not yet discovered how that lawsuit ended. After 43 years in California, in Hollywood, Modest Altschuler died September 12, 1963, aged 90 after a full life. 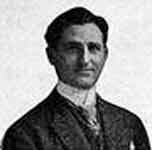 Modest's brother Gregory Aller (1876-1963) helped Modest gain Hollywood employment. Gregory Aller and his wife Fanny Aller (1876- ) were both orchestra musicians. Their daughter, Eleanor Aller (1917-1995), was a famous cellist who married the violinist and conductor Felix Slatkin (1915-1963). Together, Eleanor and Felix were active Hollywood musicians, and they founded the legendary Hollywood String Quartet. Their son, Leonard Slatkin (1944- ) has of course had a distinguished conducting career and been Music Director of several American orchestras himself, including 18 years at the Saint Louis Symphony 1979-1996 and during 12 seasons, 1996-2008 the National Symphony Orchestra of Washington. At the time of writing, Leonard Slatkin is Principal Guest Conductor of the Pittsburgh Symphony, and beginning with this 2008-2009 season, he is Music Director of the Detroit Symphony Orchestra. Michael Svedrofsky was born in Russia December 14, 1873. He came to the U.S. in 1902 and became concertmaster of the Russian Symphony Orchestra of New York for the initial Concert of January 7, 1904 until the end season in about April 1904. Beginning with the 1904-1905 season, Svedrofsky became Concertmaster of the Philadelphia for two seasons, until 1906. After the Philadelphia Orchestra, he was third Concertmaster (third chair) at the Metropolitan Opera in New York 1911-1922 and second Concertmaster 1923-1930. Svedrofsky became a U.S. citizen in 1919. Svedrofsky also played in chamber music ensembles in the 1900s and 1910s in New York. Svedrofsky died in August, 1936. Gdal Saleski states 2 that Alexander Saslavsky helped Modest Altschuler found the Russian Symphony Orchestra of New York in late 1903, leading up to their first concert in January, 1904. It seems that beginning with the 1904-1905 season, Saslavsky took over the Concertmaster chair from Michael Svedrofsky , who had moved to Philadelphia. Saleski states that Saslavsky continued as Concertmaster for four seasons until the end of the 1907-1908 season. Saslavsky was born in Kharkov, Russia on February 19, 1876. He entered the St. Petersburg Conservatory in 1887, at age 11 studying under Konstantin Gorsky, and also under Jacob Grün, in Vienna, graduating in 1893. He toured North America in 1893 and joined the first violins of the New York Symphony in that year. Saslavsky became Concertmaster of the New York Symphony in 1912-1918, and Associate Concertmaster 1918-1919. In 1919, Saslavsky became Concertmaster of the Los Angeles Philharmonic. During summers Saslavsky played summer orchestra concerts in Denver. In He died in San Francisco in 1924. Maximilian Pilzer was born in New York City February 26, 1890 of Austrian parents. He studied with Henry Schradieck (1846-1918), and in about 1900 went to Berlin to study with Josef Joachim and with Gustave Hollaender at the Stern Conservatory in Berlin. In about 1903, Pilzer played public concerts in Berlin and Dresden as something of a child prodigy. In 1904, he played violin for 6 months with the Queen's Hall Orchestra in London. In 1905, Pilzer returned to New York and toured in the eastern U.S. He became Concertmaster of the Russian Symphony Orchestra of New York during the 1908-1909 season. During World War 1, U.S. orchestras were avoiding European musicians, and Maximilian Pilzer became Concertmaster of the New York Philharmonic from 1915-1917, replacing Leopold Kramer, who was unable to leave Austria due to the outbreak of World War 1. In the 1920s, Pilzer moved to the large New York theater orchestras as a theatre conductor. By the 1940s, Pilzer was a freelance orchestra musician in New York. Max Pilzer died in New York in 1958. Nikolai Sokoloff was born in Kiev, then in Russia, now the capital of the Ukraine probably on May 26, 1886 (not May 26, 1885 or May 28, 1886 as sometimes Sokoloff sometimes gave the date on various official documents. Somewhat like Leopold Stokowski, Nikolai Sokoloff seems to have varied the dates and biographical details he provided during his career, perhaps aiming at effect.) Sokoloff first studied violin with his father, Gregory Sokoloff, a musician. At a young age, of about 10, Nikolai played violin with the Kiev Municipal Orchestra, which his father conducted 7. Nikolai Sokoloff emigrated with his family to the US in the summer of 1901 going first to Boston and then to Westport, Connecticut. In Connecticut, he studied with teachers from Yale University 7. Sokoloff studied violin in New Haven, and music with Charles Martin Loeffler in Boston. Nikolai Sokoloff was in the first violin section of the Boston Symphony beginning at age 18 for three seasons, 1904-1907. During 1910-1912, studied violin in France, where he met Vincent d’Indy and studied with Eugene Ysaÿe in France. He played in a regional orchestra in Manchester, England. Returning to the US, Nikolai Sokoloff Concertmaster of the Russian Symphony Orchestra of New York for the 1912-1913 season. He was also assistant conductor to Altschuler during that period. In 1916, he went to San Francisco to join a string quartet. In 1917-1918, Nikolai Sokoloff was in France during World War 1, seeking to aid by music the allied cause. After the war, at the end of the San Francisco Symphony 1918-1919 season under Music Director Alfred Hertz ,there was reported dissention by some San Francisco Symphony musicians, who organized the "People's Philharmonic Orchestra" 4. They invited Nikolai Sokoloff to be their conductor. This group played during the summer of 1919, but meanwhile, the San Francisco Orchestra directors raised money and hired new musicians to replace the defectors. The People's Philharmonic Orchestra tried to continue with Max Bendix (1866-1945), long term Concertmaster of the Chicago Symphony as their conductor, presenting popular concerts in San Francisco, but eventually failed 4. Just before this venture, Nikolai Sokoloff became the first Music Director of the Cleveland Orchestra, beginning in its initial season 1918-1919. He conducted the Cleveland Orchestra for fifteen seasons, 1918-1933. During this tenure, Nikolai Sokoloff was also an early conductor of a symphony orchestra recording, on acoustic disks, all heavily cut as was usual for that period. For Brunswick, Sokoloff and the Cleveland Orchestra recorded Tchaikovsky's 1812 Overture on January 23, 1924 (Brunswick 12 inch - 30 cm disk 7850047). In May, 1924, at another acoustic recording session, they recorded Nicolai's Overture to The Merry Wives of Windsor (Brunswick ) and the Saint-Saëns Danse macabre (two sides of Brunswick 50089). In October, 1924, still acoustically, Sokoloff and the Cleveland Orchestra recording the Brahms Hungarian Dance no 5 (Brunswick 15092), and the third movement of the Brahms Symphony no 5 (Brunswick 50053). On the other side of the Brahms was the first recording of Sibelius's Finlandia (cut to one side), also recorded October, 1924 at the end of the acoustic recording era. Sokoloff's programs during his Cleveland tenure were adventurous, and critics found his conducting vigorous and exciting. However, the critic William Osborne summarizing Sokoloff's programming wrote: "...During his fifteen-year tenure Sokoloff slighted the classical and early romantic standards in favor of works by late romantic and neo-romantic Frenchmen and Russians..." 10. Following his Cleveland tenure, during the Great Depression, Nikolai Sokoloff was 1935-1937, the Administrator of the Federal Music Project, part of the Work Projects Administration, a Roosevelt program to increase employment. Nikolai Sokoloff resigned from the Federal Music Project in May 1939 8, and by autumn, became Music Director of the Seattle Symphony for three seasons, 1938-1941. In La Jolla, California, Nikolai Sokoloff founded the La Jolla Musical Arts Society Orchestra in the 1941 9. Sokoloff continued to conduct the group, which also commissioned new works until the end of the 1961-1962 season. Nikolai Sokoloff died in La Jolla (suburban San Diego), California September 25, 1965. 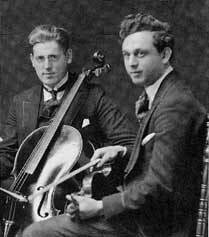 Louis Edlin, right in Cleveland in 1920 with Victor de Gomez, Cleveland Principal cello, left. Louis Edlin was born in New York City on September 30, 1889 of Russian-Jewish parents, Boris and Mary Edlin. His younger sister Sophie was a pianist. After starting violin studies young, Louis Edlin studied with Arnold D. Volpe (1869-1940) at age 9 63, violinist and orchestra conductor in New York City. Arnold Volpe organized and conducted his Volpe orchestra, a training orchestra in the years prior to World War 1 62, and Louis Edlin gained his first orchestral experience there. He also appeared in New York with the Young Men's Symphony and with the Duss Band 63. Louis Edlin then spent four years studying in Europe. 1906-1908, Edlin studied at the Paris Conservatoire with Guillaume Rémy. Louis Edlin then went to Berlin in 1909-1910 where he studied with Fritz Kreisler, among other teachers 1. Louis Edlin returned to New York in 1911 and played in the first violin section of the New York Symphony for two seasons, 1911-1913. In the 1913-1914 season, Louis Edlin become Concertmaster of the Russian Symphony of New York, following Nikolai Sokoloff in that position. In the 1914-1915 season, Louis Edlin moved to the first violin section of the Philharmonic Society of New York 1,2, where he stayed for four seasons until the end of the 1918-1919. Then, at the recommendation of the Philharmonic conductor Josef Stransky, Louis Edlin became became Concertmaster of the Cleveland Orchestra in March, 1919 2 at age 25, succeeding Sol Marcosson. Louis Edlin stayed in Cleveland until the end of the 1922-1923 season. During his Cleveland years, Edlin taught at the Cleveland Institute of Music 64. He also played in the Cleveland String Quartet, at that time consisting of the conductor Nikolai Sokoloff first, Louis Edlin second, Herman Klodkin viola, Victor de Gomez cello In 1923, Louis Edlin returned to New York City and joined the faculty of the Institute of Musical Art (Juilliard). Edlin was also a founding member of the New York Trio, Louis Edlin violin, Cornelius Van Vliet (1886-1963) cello, Clarence Adler (1886-1969) piano. The Trio also recorded for Edison records in 1928 65. In 1926-1927 Louis Edlin he became a radio conductor of the Atwater-Kent radio orchestra. Louis Edlin later served as a section head of violins and a conductor at the National Orchestral Association, a training orchestra for orchestral musicians in New York City in the 1940s. Louis Edlin died at a date not yet identified, but after 1950. Fredric 'Freddy' Fradkin was born in Troy, New York on April 24, 1892 of Russian parents. Fradkin studied violin with Sam Franko (1857-1937), who was also briefly a BSO violin (2 weeks ! ), Leopold Lichtenberg (1861-1935), and Max Bendix (1866–1945). Beginning in 1908, at age sixteen, Fradkin was admitted to the Paris Conservatoire, where he won the violin Premier prix in the 1910 Concour. Fradkin was briefly Concertmaster in Bordeaux and Monte Carlo, and also studied with Ysaÿe in 1911. Fredric Fradkin then played in 1912 with the Wiener Concert-Verein (Vienna Concert Society Orchestra, after 1933 called the "Vienna Symphony") in 1912. In 1914-1915 Fradkin was Concertmaster of the Russian Symphony Orchestra of New York , under Modest Altschuler. Freddy Fradkin then joined the Diaghilev Ballet Russe orchestra in their 1916 U.S. tour, conducted by Pierre Monteux. Fredric Fradkin became Concertmaster of the Boston Symphony in the 1918-1919 season under Henri Rabaud. At this time, the impact of the warfare of World War 1 on public thinking was ever-growing, which generated significant anti-German sentiments. The concert public considered Fredric Fradkin as being the first US-born Concertmaster of a major U.S. orchestra - seen as an important event, subject of much comment. (Perhaps they had forgotten Nahan Franco, Metropolitan Opera Concertmaster 1883-1907, and brother of Freddy Fradkin's teacher Sam Franco.) The next season, Pierre Monteux became conductor beginning 1919-1920. In this 1919-1920 season, the orchestra musicians sought to unionize and gain wage increases, which Fradkin as Concertmaster supported. Feelings escalated into March, 1920. On March 5, 1920, there was a confrontation in which Fredric Fradkin remained in his seat when Pierre Monteux gestured to the Orchestra to rise to recognize the audience applause for their performance of Berlioz's 'Sinfonie fantastique'. This caused a sensation, and that evening Fradkin was summarily dismissed by the orchestra Board80. Following this spectacular event, Fradkin had a minimal later role in the concert world. 1922-1924, he was Concertmaster of the New York Capital Orchestra, a well-known theater orchestra (Eugene Ormandy became Concertmaster of the Capital Orchestra a few years later). Freddy Fradkin also toured in Europe in 1924. Fradkin became a freelance radio orchestra musician, and later opened a restaurant in New York City. For the next 35 years, Freddy Fradkin was not active in music concerts. Fredric Fradkin died in New York in 1963, age 71 after a varied, if perhaps blighted musical career. Ilya Schkolnik is also said by Gdal Saleski 3 to have been Concertmaster of the Russian Symphony Society of New York. Schkolnik was born in Odessa, Russia (now the Ukraine) on February 11, 1890. He first learned violin from his father, Samuel. In Berlin in about 1903, he won a scholarship to study with Gustav Hollaender with whom Maximilian Pilzer also studied. Schkolnik graduated in 1905 from the Leipzig Conservatory after studying with Hans Stitt. Ilya Schkolnik toured Europe before settling in Belgium to study with Cesar Thomson. At the Brussels Conservatory he received the Premier prix in the 1908 Concour. In 1914, with the outbreak of World War 1, Ilya Schkolnik, then in Dresden decided to emigrate to the U.S. It would be at this time that Schkolnik would have joined the Russian Symphony Orchestra of New York. Schkolnik was later assistant Concertmaster with the New York Symphony, Concertmaster of the Stadium Symphony of New York, and 1919-1944, Concertmaster of the Detroit Symphony (prior to Mischa Mischakoff). In 1944-1945 season, Ilya Schkolnik joined the Baltimore Symphony as Concertmaster and Assistant conductor where he stayed until his retirement. Mishel, or Michel Gusikoff was born in May 15, 1893 in New York City. His father Morris emigrated from Russia in 1891 and sons Michel, Solomon and Benjamin all became musicians. Michel was a violin student of Franz Kneisel who was Concertmaster of the Boston Symphony Orchestra from 1885-1903 under Gericke, Nikisch and Paur. In 1915, Michel Gusikoff became Concertmaster of the Russian Symphony in New York. He left New York in 1917 to become the Concertmaster of the St. Louis Symphony under Max Zach (1864-1921). Gusikoff remained in St. Louis until the end of the 1925-1926 season. Becoming Concertmaster of the Philadelphia Orchestra for the 1926-1927 season, he joined his brother Benjamin "Benji" (1900-1956), and also Charles Gusikoff Principal trombone (1897-1966) and Principal cello Isadore Gusikoff (1901-1962) who were also Orchestra musicians. Michel and Benji Gusikoff may be brothers of Charles and Isadore Gusikoff, but I have not verified this. Arriving in Philadelphia in 1926, Mishel Gusikoff was the first of a series of brief-service Concertmasters. After serving in Philadelphia in 1926-1927, he seemed not to find favor with Stokowski. Michel Gusikoff then assumed the Concertmaster position in the New York Symphony for the 1927-1928. This was the position vacated by Mischa Mischakoff, who became the Philadelphia Concertmaster succeeding Gusikoff 9. Gusikoff later became a successful session musician in New York. Mishel Gusikoff died in New York City on July 10, 1978. Incidentally, Saul Caston's mother was also a Gusikoff, and Milan Yancich (1921- ) was Gusikoff's wife's nephew 19. Edwin Bachmann was born in Budapest, Hungary. He began violin study with his his parents, and then went on to the Budapest Conservatory and the Budapest Royal Academy of Music. He studied vilion with Alois Gobbi in the 1910s. He made his debut at age fifteen with the Budapest State Symphony Orchestra. He then became Concertmaster of the Orchestra. Edwin Bachmann was a first violin of the of the Russian Symphony Society of New York in the 1910s. 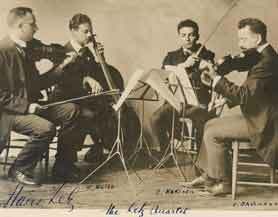 In the early 1920s, Edwin Bachmann was second violin with the Hans Letz Quartet (see picture above). Edwin Bachmann later taught at the Curtis Institute in Philadelphia beginning in the 1920s. He also played violin with Arturo Toscanini's NBC Symphony during its life: 1937-1954. Jacob Altschuler, older brother of Modest Altschuler was born in Russia January 1, 1870. He emigrated to the U.S. with his family in April 1893. As well as Principal viola with the Russian Symphony of New York, he was also the orchestra's manager. In this role, he got into trouble with the Musician's Union, because the orchestra did not pay certain musician's salaries in 1910, 1911, and 1912. It seems the Russian Symphony of New York was always just scraping by as to finances. Jacob was a radio musician in New York in the 1930s. He died in New York City August 27, 1948. In 1915, Richard Durrett replaced Jacob Altschuler as manager of the Russian Symphony Orchestra. Bernardus or Bernard Altschuler was born in Mogilyov, near Kiev, at that time in Russia, and now Belarus on August 16, 1890. Like his older brother Modest, Bernard was a fine cellist. In the later 1910s, Bernard was a musician with a hotel orchestra in New York. In the 1940s, Bernard was a musician for NBC radio in New York. Vladimir Dubinsky was born in Russia in 1873. He emigrated to the U.S. in 1903. He was Principal cello of the Russian Symphony Orchestra of New York from about 1916 to 1919. During the 1920s, Dubinsky was a theater orchestra musician in New York City. Edward Raho was born in Italy on January 9, 1873. He died in 1952. He was Russian Symphony of New York oboe and English horn in 1911 216 He was also second oboe of the Philadelphia Orchestra 1913-1930. In March, 1930, Leopold Stokowski was criticized for dismissing four players for being 'stale' 22, of which Edward Raho was one. The changes were likely greater than the 4, since 13 musicians did not return the next season. Philip Kirchner was born in Vilnius, then Russia and now Lithuania on March 11, 1890. He emigrated to the U.S. with his family in 1906. Both Philip Kirchner, and his bassoon playing brother Morris Kirchner were members of the Russian Symphony Orchestra of New York, probably at the same time, about 1913, when Nicholai Sokoloff was Concertmaster of the Russian orchestra. Philip Kirchner was oboe with the New York Philharmonic in 1917. Philip Kirchner joined the Cleveland Orchestra as Principal oboe In Nicholai Sokoloff's second season in Cleveland, 1919-1920, replacing Dominic Aldi, who moved to the second chair. Philip Kirchner continued with the Cleveland Orchestra for twenty-eight seasons, until the end of the 1946-1947. Philip Kirchner seems to have been one of the numerous Principal musicians dismissed (officially he "resigned") from the orchestra by the new Music Director George Szell. Philip Kirchner died in the suburbs of Cleveland on June 26, 1970. Morris Kirchner was born in Vilnius, then part of Russian-conquered Poland, and now part of the Ukraine, on July 15, 1890. As well as the Russian Symphony Orchestra of New York, Morris Kirchner spent much of his career in Cleveland. He was bassoon of the Cleveland Orchestra 1919-1920, then Principal bassoon 1920-1929. He remained with the Cleveland Orchestra four more seasons in the bassoon section 1930-1933, until replaced by Rodzinski. Kirchner also played bassoon with the NBC Symphony in the 1940s. He died in 1970. William Thieck was born March 27, 1883 in Mecklenburg, in northern Germany. He emigrated to New York City, where he became Principal trumpet with the Russian Symphony Orchestra of New York City 1906-1908. From 1912-1920, Thieck was Principal trumpet of the Minneapolis Symphony for 8 seasons under Emil Oberhoffer (1867-1933). Then in the 1921-1922 season, Thieck relocated to the San Francisco Symphony. After leaving San Francisco, Thieck became leader of the 150th Cavalry Band in Madison, Wisconsin. Apparently distraught, William Thieck hanged himself November 10, 1930 in Watertown, Wisconsin 20. Harry Glantz was born in what was then Proskuriv, in the Ukraine in Russia (now named Khmelnytskyi, in the Ukraine) on January 1, 1896. He emigrated to the US with his family at age 4 in 1900. His family followed his father, Pincus Glantz (1866-1939), who had traveled to New York City nine months earlier. Pincus Glantz was a violinist, but unfortunately had to earn his living mostly as a cloth cutter, although he also played in theater orchestras. Harry Glantz studied trumpet with Jacob Borodkin beginning at age 9. He also studied with Max Bleyer, Christian Rodenkirchen, and Gustav Heim, all of whom were at various times Philadelphia Orchestra Principal trumpets. Harry Glantz was also a student of the famous trumpet teacher Max Schlossberg (1873-1936), who after emigrating from Russia became a long-term trumpet teacher at the New York Institute of Musical Art (predecessor of the Julliard School) and New York Philharmonic trumpet. Max Schlossberg is often called the '...father of the American School of trumpet playing...' 17. From 1911-1915, Harry Glantz was Principal trumpet of the New York Russian Symphony Orchestra Society, which was a training ground for many leading U.S. orchestral players. During much of 1915, Harry was in San Francisco, California as Principal trumpet at the San Francisco Exposition Orchestra. Beginning with the 1915-1916 season and also for half of the next season, Harry Glantz was Principal trumpet of the Philadelphia Orchestra. In December, 1917, Glantz was drafted into the U.S. Marine Band, and discharged in 1919 at the end of WW1. From 1919-1922, Harry Glantz was Principal trumpet of the New York Symphony. Then, in 1922, Glantz moved back to San Francisco where he was Principal of the San Francisco Symphony Orchestra during the 1922-1923 season. Harry Glantz said that San Francisco conductor Alfred Hertz urged him to remain with the Orchestra, since only with brass of this quality could Hertz perform Wagner as it should be done. Glantz instead moved back to New York to be with his parents 16. Harry Glantz went to the New York Philharmonic as Principal trumpet for 19 seasons, 1923-1942. In 1942, Harry Glantz then went on to become the Arturo Toscanini's Principal trumpet at the NBC Symphony, where he stayed until the Symphony disbanded in 1955. in 1958, he retired to Bay Harbor, Florida. Beginning in 1972 until his death, Glantz taught trumpet and the University of Miami Graduate School of Music. Harry Glantz died in Bay Harbor, Florida December 18, 1982. On its tours, the Russian Symphony Orchestra typically numbered 55 to about 60 musicians. Travel with all their instruments, and accommodations, all on a shoe-string budget must have been difficult. However, a positive aspect was that at each location and each music festival, the Symphony was typically guaranteed a given income by the organizers, regardless of the box office results. November 15, 16 1918 Winnipeg. 1 page 139. Rischin, Moses. The promised city By Moses Rischin. Harvard University Press. Cambridge. 1962, 1977. 3 Page 246. Saleski, Gdal. Famous Musicians of a Wandering Race. op. cit. 6 Columbia University Quarterly New York, 1908. 9 Smedvig, Caroline. BSO Quarterly Newsletter. "The BSO's Ralph Gomberg: an Oboist and a Gentleman". 10 Kozinn, Allan. Rumors of Classical Music's Demise Are Dead Wrong. The New York Times. May 28, 2006. 11 Durham, Chris. "Union + Collective Bargaining = Results". International Musician. July, 2000. Syracuse, New York. 12 page 257. Kraft, James P. Musicians and the Film Industry, 1926-1940. University of Hawaii. 13 Bobbitt, B. G. The Glendale Symphony Orchestra, 1924-1980. Glendale Symphony Orchestra Association. Glendale, California. 1980. 14 page 8. Some Principals in Great Orchestra. Iowa City Daily Press. Iowa City, Iowa. April 22, 1909. 15 page 8. Petschnikoff's Violin Above His Family The New York Times. November 18, 1906. 16 page 32. Cooper, Stefan Trumpet Players of the San Francisco Symphony 1911-1995. International Trumpet Guild Journal. February, 1996. 19 Yancich, Milan. An Orchestra Musician's Odyssey: A View from the Rear. Wind Music, Inc. Rochester, NY. 1995. 20 page 2. Musician Ends Life With Rope Wisconsin State Journal. November 12, 1930. 21 page 5. Russian Orchestra Fails to Score. Indianapolis Star. Indianapolis, Indiana. July 10, 1911. 22 Names Make News. Time Magazine. New York, New York. March 3, 1930.